This inclusive, honest and scholarly document was awarded the NSW Premier’s Community and Regional History Prize. 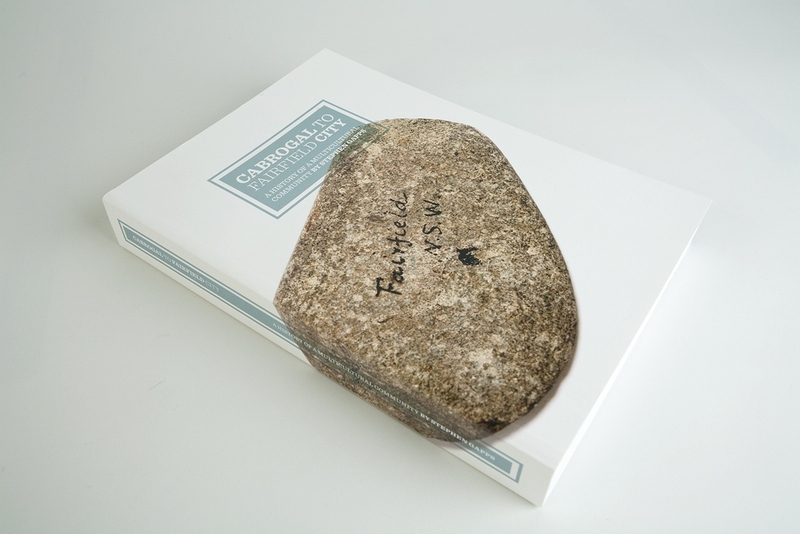 ‘Cabrogal to Fairfield City’ is a substantial and exciting publication which looks at the global history of the Fairfield region since pre-contact times. As many ‘local histories’ of the Sydney basin are not academically written, avoiding the discussion about the impact of early European settlement of the country on existing Aboriginal communities, it was very important to the author that the story of the Fairfield region began with its indigenous peoples. 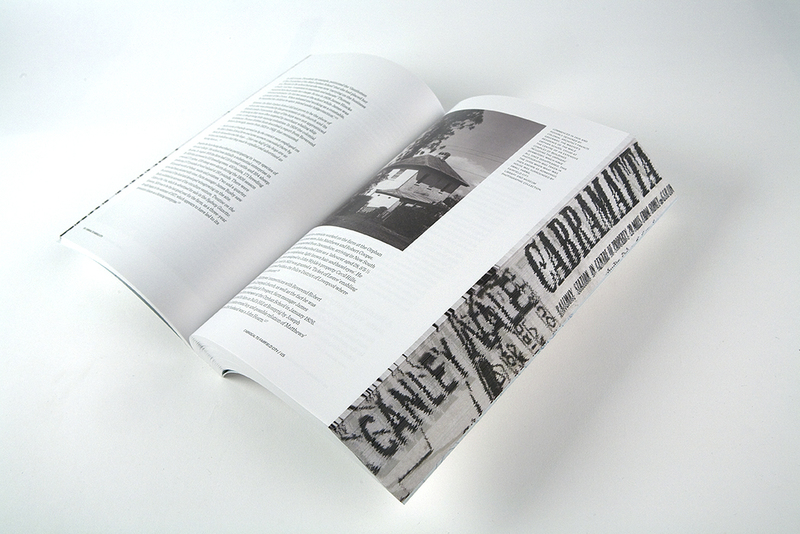 The elegant design was therefore intended to provide the book, and the complex histories of the region it explores, with a multi-layered dynamic that would challenge the negative preconceptions held about it in some quarters, and create a document of which the Fairfield community could be truly proud. The cover of the book was used to ensure that the indigenous story was a primary focus for the publication, thus setting the seen for a chronological history that winds its way through the multi-cultural paths that makes up the region today. 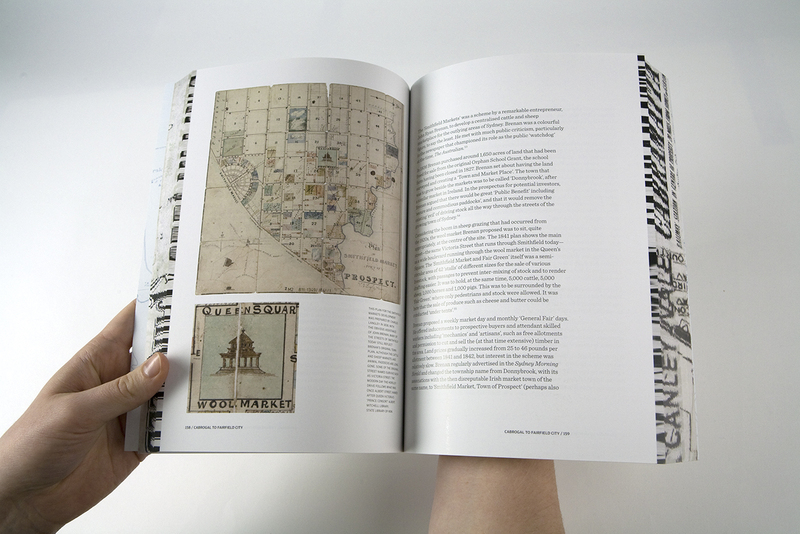 A clever ‘forage’ (printed images and text appearing on the edges of a book) was employed to add a unique tactile quality to the publication and, in keeping with the sensitive interpretation of the writer, to ensure that the key historical suburbs found within the region were appropriately acknowledged and highlighted as a critical historical themes. A stone axe from the Fairfield shire marks the beginning of the history of the area. White space helps the reader through this tome.